The Ring Pro Doorbell is Ring’s top of the line smart home doorbell with advanced motion detection, streaming HD video and remote viewing and control from your phone. The Ring Pro Doorbell is a great addition to any home to enhance home security and it also work with Alexa. The Ring Pro Doorbell uses your existing doorbell wiring for setup an connects to your home wifi for remote control and connection to Alexa. You can be alerted when someone presses your doorbell button or adjust the settings to be alerted when motion is detected in the zones you set with your ring pro doorbell. The Ring Pro Doorbell works with Alexa but what you might not know is that the entire line up of Ring Doorbells, Ring Cameras and the Ring Security System are compatible with Alexa including the (Ring, Ring Doorbell 2, Ring Pro Doorbell, Ring Floodlight, Ring Spotlight, Ring Stick Up Cam & Ring Doorbell Elite) all work with any Alexa device that has a screen. What Can Ring Pro Do With Alexa? If you enable the “Ring Skill” on Amazon Alexa you it will allow you to see a streaming live video feed of your Ring Pro Doorbell on an Amazon Alexa spot or Amazon Alexa Show. It's a great option to quickly pull up your doorbell feed, I have an Echo Show in the office so I can see who's at the front door quickly just with a short voice command. You can see a live view example of a smart video doorbell feed on the Amazon Echo Spot. You can also connect your Alexa echo device to Ring Pro to use your echo as a remote doorbell chime. If you live in a home with 2 or more floors having a quick way to check up on your front door with Ring Pro and Alexa is a great way to keep tabs on what is going on without the need for your phone. Related Post: Does Ring Security System Work With Alexa? To get the Ring Pro video feed on your Amazon Alexa Spot or Amazon Alexa Show you need to do the following. 1. Install the Ring Pro and complete the set up through the Ring app. 2. Open the Amazon Alexa app on your phone. 3. Click the menu on the top left of the screen. 4. The menu will have several different options. Click on the "skills" tab in the menu. 5. This will take to you the Alexa skills store, Alexa skills are like "apps" for your Amazon Alexa devices. At the top of the screen there is a search bar. Enter "Ring" into the search bar. Two "Skills" will pop up. 6. Select the "Ring" Skill. 8. Enter your Ring account username and password. 9. Once you do that the skill is linked to the Ring Pro. Alexa will then ask you to discover devices, just click yes. 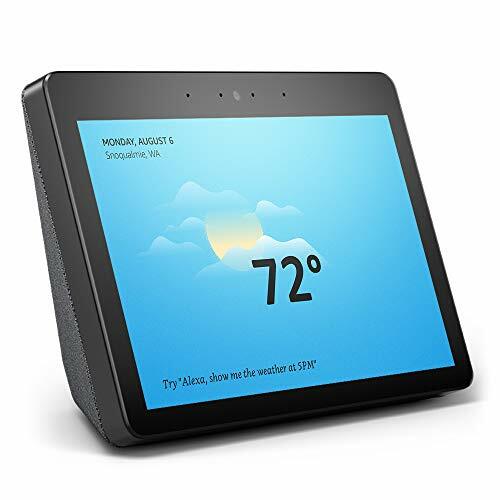 If Alexa does not ask you to discover devices go back to the main Amazon Alexa home screen. Click on the menu at the upper left and click on "Smart Home" within the menu. 10. Once in the smart home menu click on the "+ Add Device" button if you don't see your doorbell listed in the devices. The doorbell shows up as a camera logo which looks like a circle with one leg. If you don't see your camera already in the smart home devices click the "+ Add Device" button. If you already have the ring pro doorbell added and it shows up in the smart home devices its already connected to your Amazon Alexa Show or Spot. 11. To view on your Amazon Alexa device just say "Alexa show me my Front Door" and it will now display on your Amazon Alexa device if it has a screen. If you named your doorbell something other than "Front Door" you will need to use the name you gave the doorbell in order for Amazon Alexa to display it on the Amazon Alexa Spot or Amazon Alexa Show. You would need to say "Alexa show me [Name of ring pro device]"
The Ring Pro Doorbell Shows up As the “front Door” in the Alexa. The Other “Front Door” item in the screen is a Smart Lock Compatible With Alexa. Can you use Amazon Alexa as a doorbell chime? Yes, Amazon added an update that allows you to use any of your Echo Devices as a doorbell chime with the Ring Pro Doorbell. We’ve tested the doorbell function with Echo Dot, Echo, Echo Show & Echo Spot and it works great to alert you for both doorbell rings and can be set to alert you when motion is detected on your Ring Pro Doorbell. Once you have connected your Amazon Echo device to Ring Pro from following the instructions above you will just need to do the following to use your echo devices as a doorbell chime with your Ring Pro Doorbell. Adjust each echo device to allow communication and announcements settings to enabled. You will need to click on each echo device you want to be notified on to make this work. 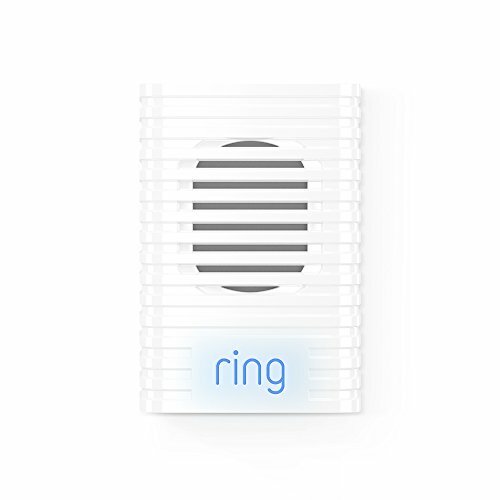 Ring also has wireless doorbell chimes that can be placed anywhere in your house to work as a doorbell chime, no wiring is needed just plug in the chime, set it up and your new doorbell chime is connected to the Ring Pro Doorbell. 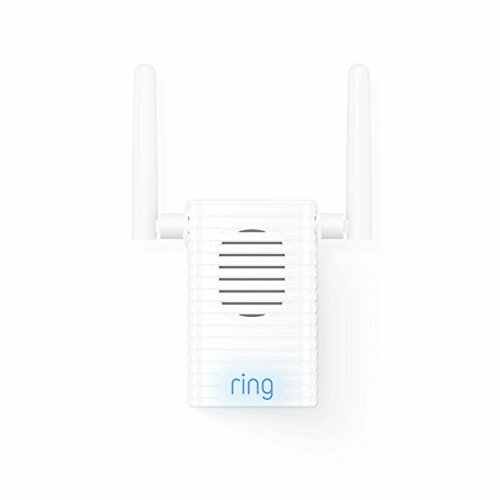 Ring has two types of doorbell chimes, there is the standard Ring Wifi Chime which will operate as doorbell chime with the Ring Pro Doorbell wherever you plug it in and the Ring Pro Chime which works as a chime but also a range extender to increase the wifi network strength between your ring device and your home network. It works great if you are experiencing video lag on your Ring Device.